LOS ANGELES – Yasiel Puig was late arriving to Dodger Stadium Monday in his return to Los Angeles for the first time since being traded to the Cincinnati Reds. "Just the six of us sharing some stories, saying hello and more so thank you for them for what they did to help us accomplish what we accomplished last year and wishing them well, "Dodgers manager Dave Roberts said. 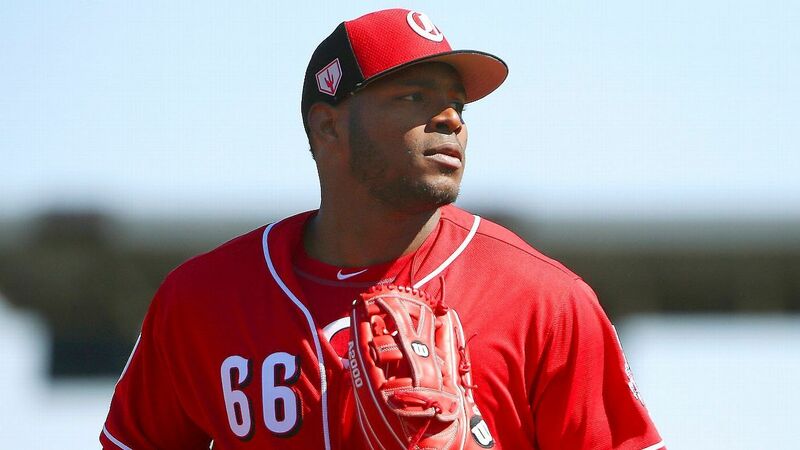 Asked about missing the gathering, Puig said," He can Send the ring to my locker or give it to me at batting practice. He can give it to me in person, I do not care. " "Yea "I'm happy," he said, smiling. "This guy did a lot of things in the community and helped the Dodgers do a lot of good things, "the manager said. "But that would not be the first thing I would talk about," he said. "It would be more about the way he has played the game and the teammate he has been."